Established in Penzance, Cornwall 1950 by John Laity (1925 - 2014) at the age of 25, Morrab Studio has developed from an a gallery selling original Newlyn School Art and local pottery. Today we specialise in high quality gifts and collectables, fine china and crystal glass, pictures and prints. 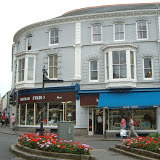 The business has changed location and increased in size since 1950 for various reasons, one of which was the annual flooding of the original premises, which were just behind the seafront at the bottom of Morrab Road, Penzance. Sea water caused a lot of damage during the 1950's due to regular flooding to waist height though the pottery stock just floated down with the water, undamaged, ready for sale again. Picture framing has been an important part of the business through the years, allowing us to frame our own local prints and pictures for sale in the shop and to offer a bespoke framing service for anyone who might require it. 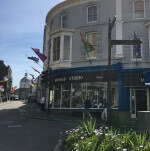 Morrab Studio has been based at the top of Morrab Road in Penzance since 1960 near the town centre, expanding into the next door premises in 1970. We do our best to offer a specialised and friendly service. John Laity's sons, David and Simon, joined the business in the late 1970's to help carry on the expansion and success of the family business. In the last few years it has been obvious that the Internet offers an opportunity to offer the specialised skills of the business to a much wider customer base.